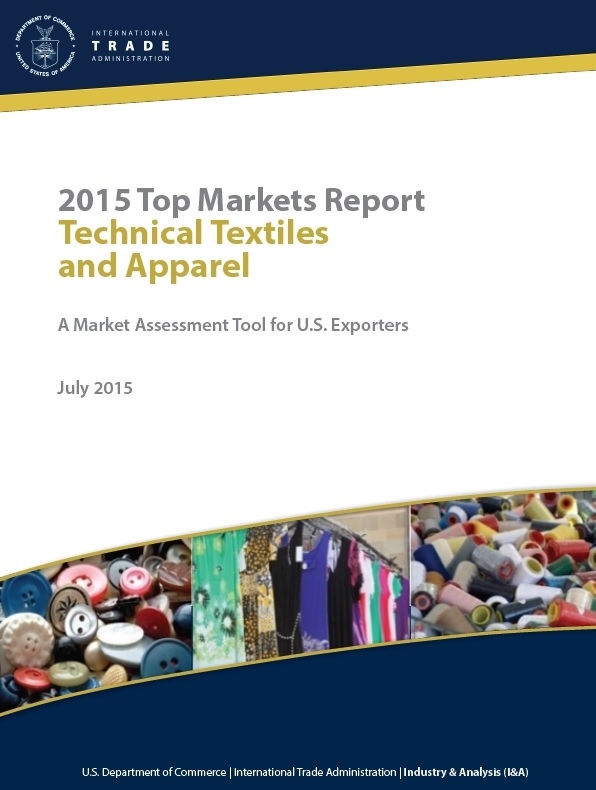 The U.S. exports of technical textiles totaled $8.5 billion or 46% of U.S. textile mill product exports in 2014. 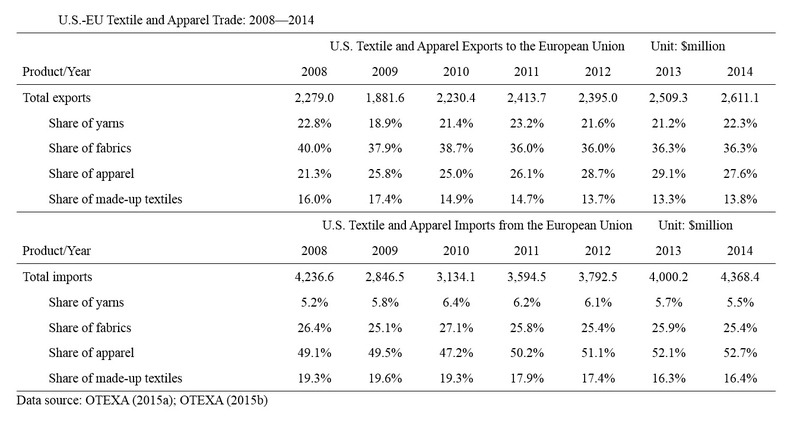 By size, the top 10 export markets for U.S. technical textiles from 2015 to 2016 include: Mexico, Canada, China, Germany, Japan, Hong Kong, United Kingdom, Belgium, Brazil and Honduras. 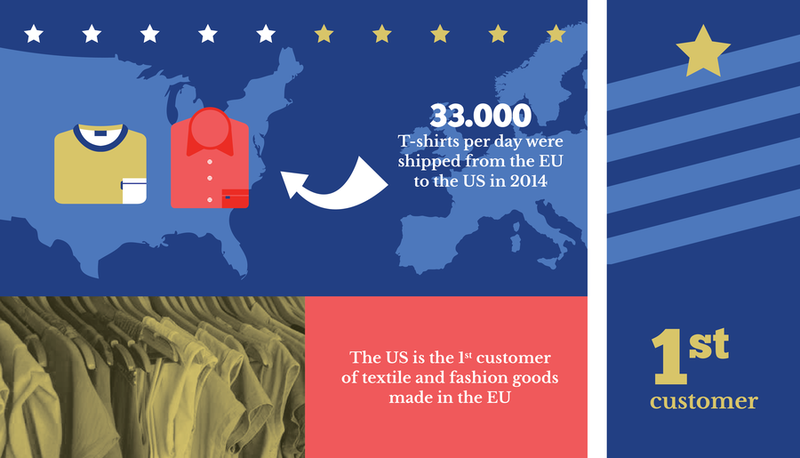 North America is the largest regional consumer of technical textiles due to the presence of the majority of end-use industries. Europe and Asia Pacific follow North America in terms of current consumption; however, development in emerging markets including India, China, Japan, Korea and Taiwan is expected to increase overall technical textile demand. Among the best prospect in the emerging markets for U.S. companies are Vietnam, India, Taiwan and Brazil. Major challenges facing U.S. technical textile exports include: 1) trade protection such as high tariffs and non-tariff barriers, such as import license requirements; 2) foreign competition and continual investment in research and development in many developing countries; and 3) lack of transparency by foreign customs agencies which could slow the flow of trade and lead to processing delays. Eight country studies are provided by the report, including: Brazil, Canada, China, India, Korea, Mexico, Taiwan and Vietnam.